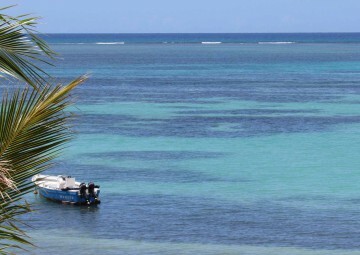 This horse race is the opportunity to see all types of inhabitants Mauritius has. 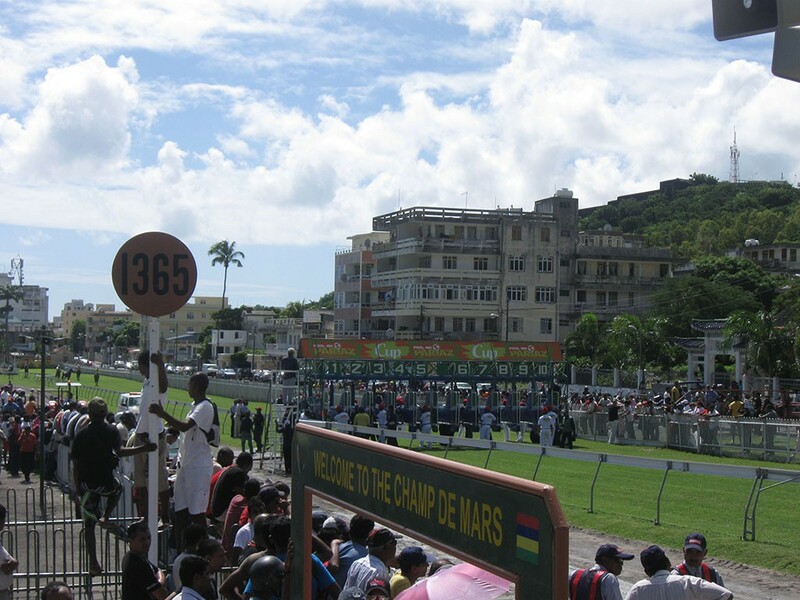 Rich and poor gather here every Saturday on the Champs de Mars racetrack to try their luck. 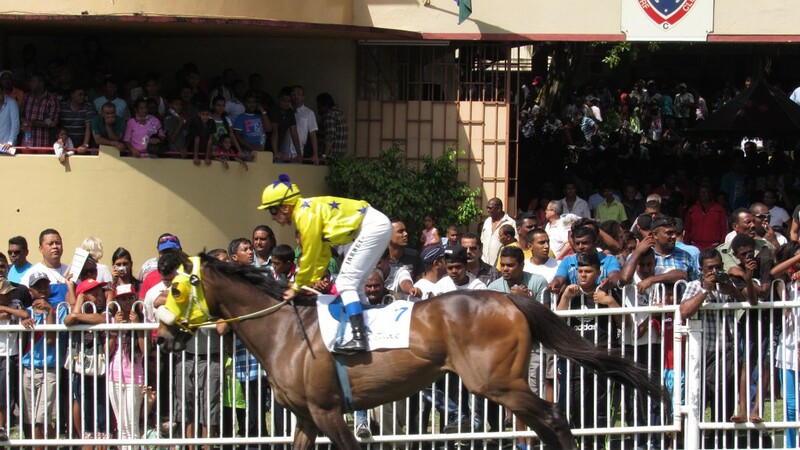 Champs de Mars is the second oldest racetrack in the world and the horse race can be seen as Mauritius number one sport since no other event attract so many people. 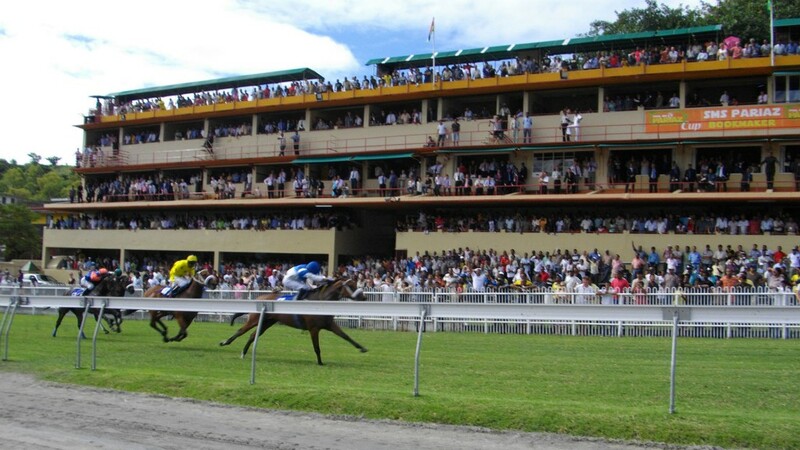 The racetrack is beautifully located between the mountains surrounding Port Louis. The tribune is a classical one and there are good facilities and possibilities to eat and drink in the cafe’s under the tribune. You can also order typical food in one of the stalls in the middle of the racetrack. 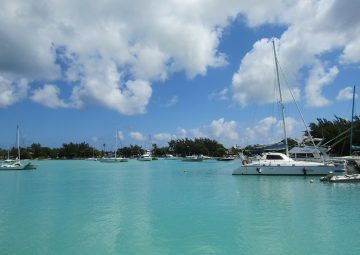 Be sure to find a good spot to watch the race though before the race starts! 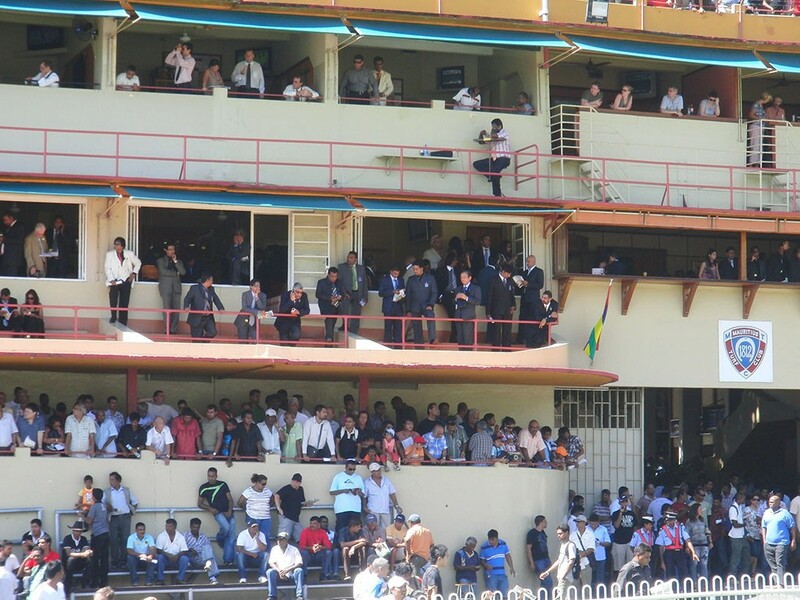 During the races, the crowd goes wild. All this makes this event enjoyable visit, whether you want to gamble yourself or not. If you want to gamble you have to buy a ticket. There are many stalls where you can buy your ticket. First, you have to chose on which horse you want to place your money. On tv screens you can see which horses (with genious names, like Dessert Sheikh or Mr. Brightside) will race and what their odds to win are. The horse with the lowest odd is most likely to win, the one with the highest odd is not very likely to win. At the counter you name the horse you want to bet on and the amount of money you want to play with. Then you’ll receive your ticket. If you’re horse ends first you have to go back to the same stall to collect your win. A couple of months per year the racetrack closes. From November/December till March there are no races. 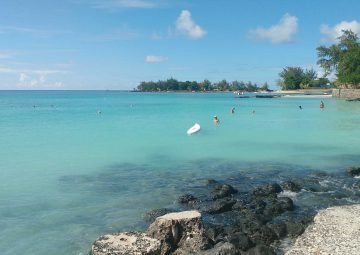 When visiting Mauritius in March, make sure to visit the opening of the season! 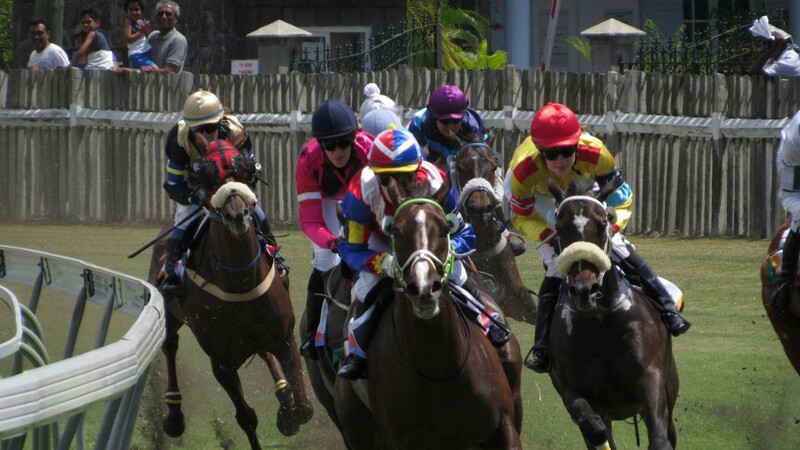 Check the schedule of the horse races here. 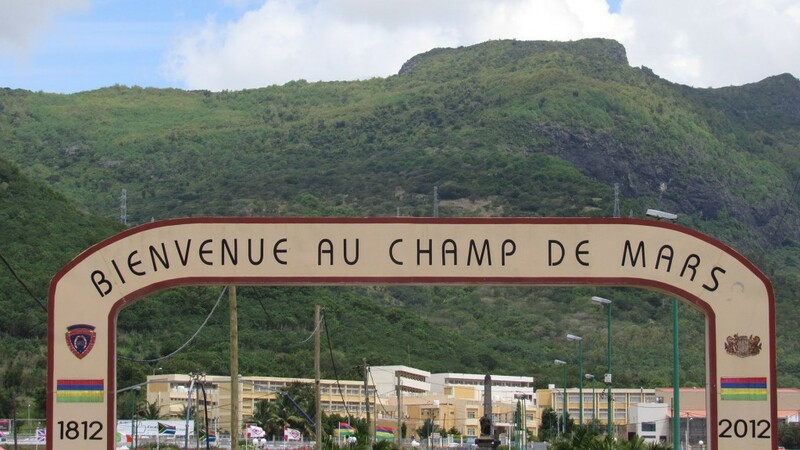 The easiest way to reach Champ de Mars racetrack is by A1 or M2 towards the Waterfront. Head towards Place d’Armes (a road recognized by having a pedestrian area separating the road). Follow the road until you reach Champs de Mars. You can park inside the racetrack ground or in the streets surrounding the racetrack. You can also park at the garage at Caudan and walk towards Champs de Mars.